Home / FAQs / How do naturopathic doctors treat ADHD? How do naturopathic doctors treat ADHD? ADHD is a complex disorder impacted by numerous genetic, neurological, nutritional, and environmental factors. Attention Deficit Hyperactivity Disorder (ADHD) is a chronic, neurobiological condition that affects nine percent of children and four percent of adults in America. ADHD includes a combination of persistent problems, such as difficulty sustaining attention, hyperactivity, and impulsive behavior. Many diagnosed with ADHD also struggle with concurrent states such as low self-esteem, troubled relationships, poor performance in school or work, anxiety, learning disabilities, and other mental, emotional, and behavioral disorders. The common first line of treatment for ADHD is medication such as a stimulant (e.g. Adderall, Ritalin) or non-stimulant (e.g. Intuniv, Strattera) for those ages six and above. While prescription drugs can be extremely effective addressing symptoms in the short-term, for many, the effects fade after prolonged use. 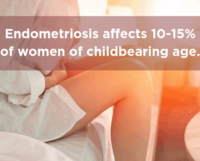 Additionally, these medications may not address underlying causes or concurrent conditions, and frequently cause unwanted side effects including weight and height disturbances, sleep disruption, personality changes, “tics,” and even addiction. The consequences of taking stimulants for years on end have not been fully evaluated in studies, and use during pregnancy is still in debate. These challenges lead many to discontinue medication, seeking complementary or alternative approaches. Whole-person treatment can help address these hurdles. Naturopathic doctors excel at treating ADHD because they treat the whole person—mind, body, and spirit. Licensed naturopathic doctors (NDs) excel at treating ADHD because they focus on treating the whole person—mind, body, and spirit. Understanding how each person is experiencing their ADHD symptoms and discovering what is most limiting for them is important in the naturopathic approach. NDs have rigorous training in evidence-based treatments that have been shown to address underlying causes while improving ADHD symptoms. These treatments include clinical nutrition, behavioral medicine, and botanical medicine. Depending on the individual, naturopathic treatment can support conventional care, or be a primary treatment. 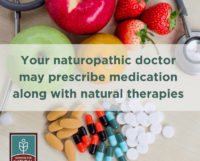 Naturopathic doctors spend extra time with patients to evaluate the whole person, including diet, lifestyle, genetics, psycho-­emotional makeup, socioeconomic position, environmental issues, and more. They are able to provide patients and their families with a high level of emotional and psychological support. 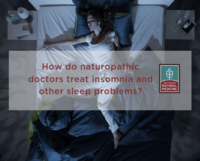 Often, NDs assess multiple body systems including digestive/gastrointestinal (for inflammation), nutritional (for deficiencies or sensitivities), immune, and neurological (neurotransmitter regulation) to get a full picture of the patient’s needs. The goal is to identify areas of dysfunction and then develop a plan to restore optimal function. In addition to the physical body, how an individual with ADHD feels mentally and emotionally always influences which therapies are selected. The age of the patient is taken into careful consideration. All of these pieces are taken together when building a comprehensive naturopathic care plan tailored to the patient. Diet and lifestyle changes. Diet plays an enormous role in brain function. An ADHD assessment and treatment plan may include food sensitivity testing to pinpoint and help avoid those foods that are contributing to hyperactivity and distraction. An elimination diet can be effective, where common allergens and foods containing artificial dyes and high levels of salicylates are removed from the diet. A Mediterranean diet, rich in fruits and vegetables, whole grains, seafood, nuts and legumes, and olive oil may also be considered. It is also important to make sure blood sugar levels stay balanced through regular protein consumption. Additionally, improving sleep hygiene can play a role in managing ADHD symptoms. Emerging evidence shows that physical exercise, yoga, and time spent in nature can benefit children with ADHD. Supplementation. Deficiencies in magnesium, iron, and vitamin-D are associated with ADHD. Research also supports a connection between B-vitamin deficiencies and ADHD symptom severity. NDs evaluate and address these deficits with proper supplementation. Further, numerous studies have demonstrated improvement in symptoms of ADHD through the use of supplemental fish oil. Because a good balance of healthy bacteria in the gastrointestinal system can positively impact brain health, supplementation with probiotics can also help reduce symptoms of ADHD. Botanical medicine. Botanical or herbal medicines can help calm the nervous system and address restlessness, anxiety, and irritability associated with ADHD. Bacopa monnieri and Ginseng are just a couple examples of beneficial botanical medicines that NDs utilize. Naturopathic doctors will individualize formulations for patients. Behavioral medicine. The American Academy of Pediatrics states that behavioral therapy should be the first step in treating ADHD in pre-school-aged children. Sometimes called behavioral modification, this approach works on resolving specific problematic behaviors and offers solutions to help prevent them. Cognitive behavioral therapy (CBT) can help children and adults with ADHD overcome difficulties in everyday executive functions that are needed to effectively manage time, organize, and plan in the short term and the long term. CBT can also focus on concurrent and associated symptoms such as anxiety, emotional self-regulation, impulse control, and stress management. Neurofeedback is a therapy that uses real-time EEG data to help train brains to improve focus, impulse control, and other challenges associated with ADHD. A number of studies have shown that neurofeedback can improve certain ADHD symptoms. Naturopathic doctors refer patients to licensed therapists for these therapies as needed. ADHD is a complex disorder impacted by numerous genetic, neurological, nutritional, and environmental factors. Whole-person naturopathic medicine strategies can offer patients many benefits. A service for consumers from the American Association of Naturopathic Physicians (AANP) and the Institute for Natural Medicine (INM). The AANP and INM would like to acknowledge Paul Herscu, ND, MPH, for his contributions to the content of this FAQ.